That would be Tempe Center for the Arts, otherwise known as TCA. Click on the link for more information about this “jewel.” Yep, this would be my discovery during my recent bike ride and, what a discovery! 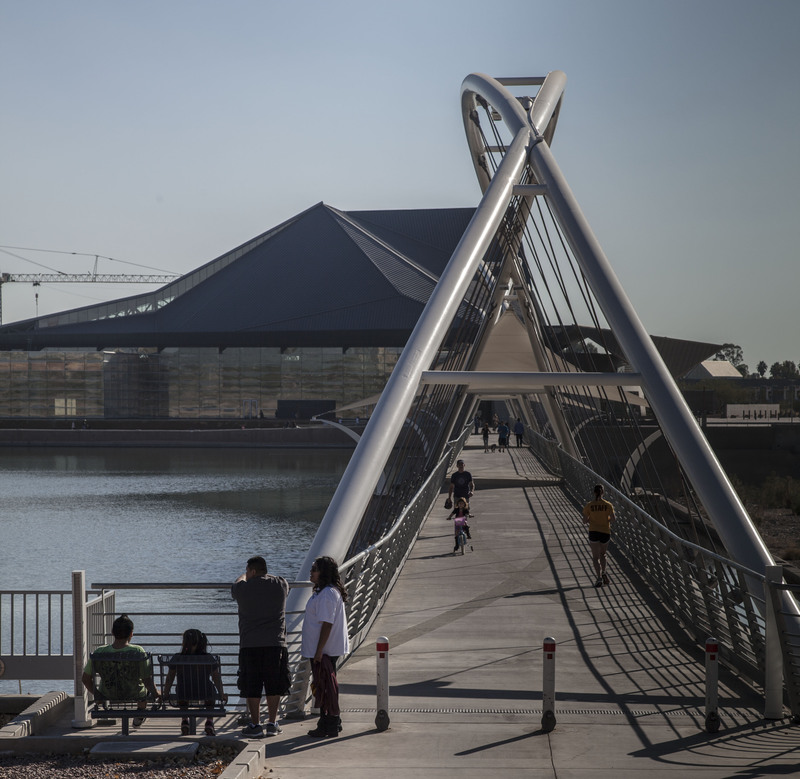 Following is a photo I captured of the Tempe Town Lake pedestrian bridge leading to the main entrance of Tempe Center for the Arts. 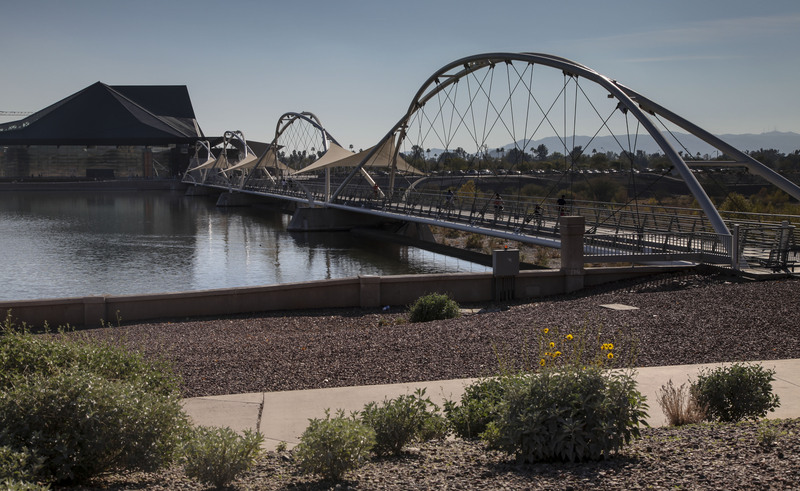 Another view of the pedestrian bridge leading to the entrance of Tempe Center for the Arts.